Ola Amigos!! 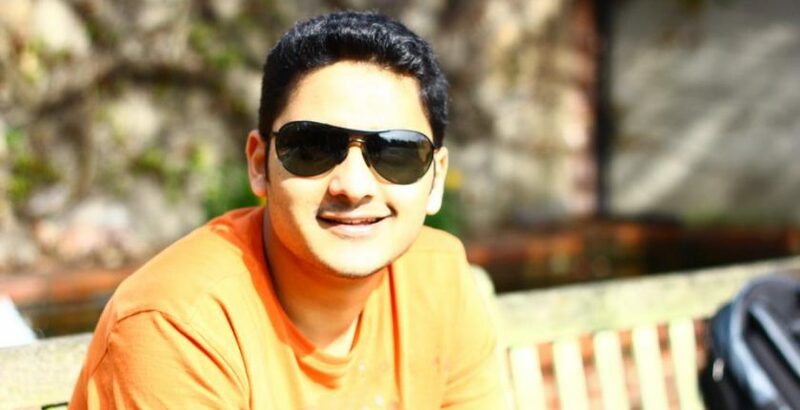 In this article we introduce to you another of our own ex-DCTian, Karthik Chowdary. We like to designate Karthik as “The Destiny Troller” for the simple fact that, he is a person who would take full control of his destiny. He believes in forging his own path and often pro actively says with a wide grin to his fate -‘Bring it on’. Nevertheless, he has grown in leaps and bounds through his journey with us and interaction with the outside world. We want to share more of his insight with you. Well, I began my career as a Mechanical Engineer. Previously, my interest was solely tied to automotive tasks. In fact, I even hold a Masters degree in Automotive and Mechanical Engineering. Over a period of time, there began a slight tilt in my job description. I started drifting more towards the ERP part of my company. I started handling and monitoring the ERP section acting as a bridge between my other team members and the software developers; relaying to and fro the necessary requirements and enhancements, and training my teammates on the usage of ERP. It was fascinating to watch these developers change our needs into workable prototypes, saving us relentless effort and time. Soon it became my unprecedented decision to learn programming and become a software developer. How did you get to know about DCT and why did you join DCT? I began learning to code with Java. I realised that it would incur me a tad bit of learning curve. I needed something quick, palpable and easy to master, to start with. My brother, who is a software engineer, advised me to learn Ruby on Rails. He had this notion to start a company of his own and for that we had a project in mind. We decided to build it using Ruby on Rails. Subsequently, we started looking for the best training institute available in Bangalore. And luckily we stumbled upon Aniruddha’s profile. We researched him on Urban pro. He seemed to have an excellent reputation and reviews by every one. We knew that he was going to be the apt person for us, and soon enough we joined him to study Ruby. How has your transition from a Mechanical Engineer to a Software engineer been? Initially, the main hurdle for me was to not be aware of any of the programming concepts. I knew it was going to be difficult process. I was aware of the challenges involved, and was well prepared for it. I wanted to become a software developer and was ready to pour out my heart and soul to achieve the same. Therefore, somehow it clicked when I joined DCT. Even while studying with other people in DCT who were from the Computer Background, I could still keep a tab and reference to what was been taught to me and catch up with them. It was refreshing and easily graspable because the focus was on getting the basics strong. Once the foundation was established, programming came naturally to me. I understood the jargons and terminologies involved in computer science concepts and soon I was capable of writing my own piece of code and output what was required. Now it has been almost eight months since I have been working as a Software Engineer and I am faring quite well. How has DCT helped you in your growth as a Software Engineer? I feel my decision to join DCT has been one of my best decisions so far. Aniruddha is a miraculous teacher, who does an exceptional job moulding each one of us into competent programmers. One of the best things in DCT is the personalised attention you receive. Many other institutes simply focus on the curriculum, going at their own pace without taking into consideration the level of understanding of the students. Such is never the case with DCT. The classes are conducted based on understanding the ability of each student. The assignments are always relevant to what has been taught, and quite fun to solve. We learnt something new each day and focused on the application of these learning’s the next day on a live project to get hands on experience. The project that we undertake and try to build is always relevant to the real world, trying to solve a problem. Besides that, Aniruddha is a very friendly and approachable person. He has always been a constant support and help right from learning Rails, to preparing my resume, cracking interviews and to even getting me a job. I am very grateful to him for all that he has done. Do you have plans to pursue any other course in DCT? Yes of course, I want to learn front-end development and have already spoken to Aniruddha about it. Very soon I am going to enroll in this course because I want to evolve myself as a full Stack Developer and perhaps understand more of the nitty- gritty involved in web development. That is my plan. Would you recommend DCT to others? Yes, I highly recommend DCT Academy to anybody who wants to learn programming, irrespective about their work background and education. The most important factor about Aniruddha is that he delivers on what he promises. That is a quality not known to many. He works tirelessly to help us in our career path and help us inherit from his own pool of vast knowledge and experience. I am really glad to have a mentor like him.